It’s a back-to-basics economy, but that doesn’t mean you should let your house be anything less than a pleasure to come home to. A welcoming exterior can put a spring in your step each time you climb the stoop. Adding the right elements can increase your daily comfort, too. Fixing up a front porch to lounge on during the hot summer months or swapping a failing roof for something new that’s also maintenance-free makes your space more enjoyable—and shortens your to-do list. Quality upgrades continue to add value. Home prices may have dropped, but the return on remodeling investments remains strong, according to the National Association of Realtors. Not surprisingly, exterior improvements still lead the pack in terms of biggest bang for the buck, with siding and windows paying you back over 75 percent of their cost upon resale. But it isn’t only major projects that make a difference. 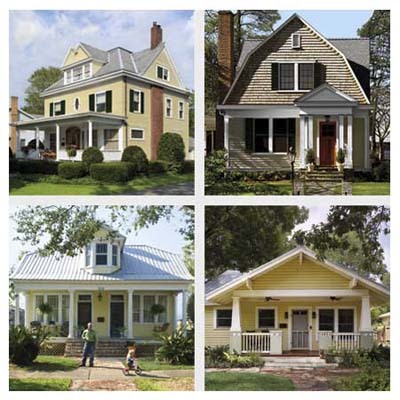 Whether it’s investing in a good faux version of a real, and really expensive, material like wrought iron or switching in new hardware to freshen your front, the following pages are packed with small ways to spruce up your exterior on any budget. After all, there’s never a wrong time to make your home more of a haven.